Have you ever noticed that the individuals with the weakest opinions regarding male infant circumcision are men? It appears that way to me anyway. Why do you suppose that is? I’ve spoken with a lot of women who seem to care a great deal one way or another. Personally, before my son was born I didn’t even have an opinion about it. In my case, the damage was already done and I didn’t waste a single moment to notice or to rue the day it had happened. It just was… and I hardly noticed. So 15 years ago, when the nurses asked us while checking us into Labor and Delivery and my wife responded with a firm, “Yes!” I really didn’t argue, or question, or think. I was super excited to be a Dad and I wasn’t about to let him out of my sight for a second in the hospital, so I told them I would be there when they performed the circumcision. I’ve never heard a baby make that pitch of cry before or since. I regretted it immediately. When I returned with him to the room where his mother was resting, I told her that if we had another boy he’d be circumcised over my dead body. I rarely put my foot down like that in our relationship, so I believe she knew I was serious. We had 3 more girls. 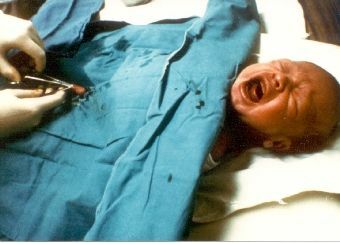 I now find the physiological and moral arguments strong against circumcision, but the strongest case can be made considering the logic of individual choice. The choice of the boy himself, I mean, not his parents. If left to males to make that decision for themselves when they are of a legal age of consent, I’d bet male circumcision would be eliminated in a single generation. 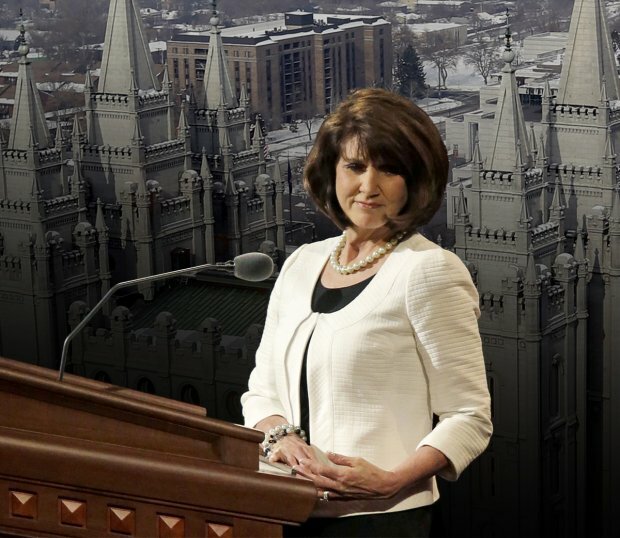 Speaking of my girls, I find it equally as puzzling that the individuals with the weakest opinions regarding female Mormon priesthood are LDS women. They don’t really seem to argue, question, or think about it at all. Is that because for them the damage has already been done? Is that why they don’t waste a single moment to notice or to rue their exclusion? It’s certainly not scriptural, but for LDS women so conditioned the priesthood being a forbidden fruit is a foregone conclusion. I’ve spoken with men who seem to care more one way or another. I care mostly for my daughters’ sakes, but back when I was still LDS I would have even cared for myself… It should be a matter of individual choice for everyone (which we all know it is not… not for the boys, nor for the girls). I didn’t enjoy being forced into priesthood roles any more than many girls enjoy being excluded from them. Some priesthood tasks were fun or harmless (passing, preparing or blessing the sacrament, giving anointings and blessings,) while other priesthood chores were arduous (meetings, collecting Fast Offerings, meetings, Home Teaching, meetings, leadership responsibilities I never wanted nor asked for). If left to females to make that decision for themselves when they are of an age of consent (such as 12, when the boys are obligated), I’d bet female Mormon priesthood would become the norm in a single generation. For a religion that preaches “free agency” as a foundation for the entire Plan of Salvation, Mormonism is a very centrally master-planned, socialistic society leaving few individual choices to its adherents. Individual Mormon women AND men should be able to decide for themselves if they want the priesthood… if you truly believe in “free agency,” that is. The Premise: Apostates who leave the LDS faith will find that they are all given over to vile desires, wandering without an anchor in the world, unsuccessful in life and most of all terribly, terribly unhappy. For Example: When I first met my ex-wife and we were still in that stage where we were sharing our past with each other, I remember her telling me the story of her involvement with the Young Women’s program in her ward. Coming from a part-member family she became active in the LDS Church on her own as a teenager. There was one of her fellow Young Women that I recall receiving special mention. This was a girl I’d never met named Michelle. I knew her younger sister from the single’s ward but as the story goes Michelle had gone to BYU and gotten mixed up in a bad crowd. My ex had lost touch with her and didn’t really know all the details of the story, but in cases like these it’s just the major points that are important. Michelle had gotten involved with *gasp* some feminists at BYU. This of course led Michelle to question authority which in turn made Michelle’s mind fertile ground for anti-Mormon material. Eventually Michelle left BYU and the LDS church because she started thinking. The last rumor was that Michelle was in Northern California somewhere dabbling in drugs wasting her time away being an angry feminist, studying God knows what…ever learning but never able to discover the truth. Michelle was obviously unhappy and that was a direct result of her apostasy. I heard varying versions of this story at times when my ex and another long-time friend of hers were together. It was always told with sad clicks of their tongues and self-righteous gasps of gratitude that their lives were so successful because they were temple married, etc…. The Truth: My divorce and apostasy occurred just about at the time Facebook was becoming popular. For the first few years I used it to reconnect with old friends. Michelle’s sister, my friend from the singles ward, was one of them. She also had left the church but that’s another story. Through that connection I became curious about her sister, Michelle, because of the stories I’d heard about her. Was she still the lost, angry, drug addicted felon I’d heard she was? It turns out, no. No she’s not. 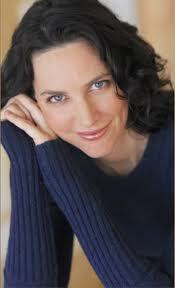 Michelle Paradise (her real last name) happens to be a successful TV writer, actor and producer. At the time I found this out the first season of her TV show Exes and Ohs was running on the gay cable channel Logo. Yes, she’s a homosexshul, but she’s certainly not living in a van down by the river. By way of introduction, I don’t really like labels but labeling myself for you is going to be the easiest way to give you a quick background. I am a born-in-the-covenant, divorced, gay, post-Mormon, father of 4. My ex-wife continues to raise our children in the LDS faith. Seven years ago I was a believing, faithful, worthy, temple-married, former missionary and priesthood holder. My eventual leaving the LDS faith had absolutely nothing to do with the members of the church. In planning this post in my head, it dawned on me, however, that the top reasons I wouldn’t return to Mormonism are entirely different than the reasons I left in the first place. The reason I wouldn’t return has everything to do with the members. I wasn’t offended. I had no hard feelings towards anyone in the ward or in my family. My struggle of faith that led me out was mostly a personal one. It was primarily doctrinal and historical issues and I remained active for the duration of that struggle. As soon as my ex-wife filed for divorce I left. I just stopped going. From the outside it probably appeared to be an overnight reaction. Nobody but my wife and I knew that I hadn’t believed for years. I also hadn’t told anyone else I was gay at this point. I hadn’t expressed my doctrinal doubts to anyone. I hadn’t gotten angry at anyone or shared any “anti-Mormon” ideas. If anyone knew anything about my situation it came from my ex-wife or the rumor mill. Let’s imagine if all the doctrinal historical and factual information that led me out were somehow changed, patched up and fixed. Would I go back? NO…I wouldn’t return because of the way apostasy is handled, the way my apostasy was handled. The LDS Church, the LDS members and my LDS family would still be the same and I wouldn’t return. Although it’s easy to assume that as a gay man I probably sinned by cheating on my wife, losing the spirit and then seeking to find fault with the church to justify my actions and make it OK to leave, that’s not what happened. As a worthy, faithful Mormon who harbored doubts I honestly believed in the truth of my mother faith. Yet, sitting in Sacrament Meeting or General Conference listening to the speaker present such a simplified view of doubts and apostasy I knew she didn’t know what she was talking about. I knew the leaders she quoted didn’t know what they were talking about when it came to doubt and apostasy. These are surreal moments, like watching one of those comedy programs where the comedian gets children to pontificate on adult situations and the kids say the darndest things. To be caricaturized as a simpleton and a sinner by Mormons made them seem infantile instead. Legitimate organizations don’t need to demonize folks who leave or use scare tactics to make current members stay. Watching that happen to me merely tipped the lid to the coffin on an already dying affection between me and my LDS faith. Once that was done, church members and LDS family further slammed the door shut on any possibility of ever reviving that faith. At this point you’re probably expecting me to detail accounts of mistreatment…but that’s not even what went down. What followed was merely apathy and avoidance. Having had my share of leadership callings, I had sat through years of instruction and counsel regarding loving the sinner and hating the sin. I knew the official line of reaction was to reach out to find and minister to the lost sheep, the one among the 99. This actually causes a great deal of irritation among other ex-Mormons as they leave but are never left alone. But in my case, it was as if I never existed. It was as if there was a coordinated effort to wipe all traces of my existence from their minds. If I met former LDS brothers and sisters in the grocery store or when I took my children to church activities I would have been happy to chat or graciously exchange a minute or two of small talk. As it happens, however, even eye contact was avoided. Granted, I realize the hypocrisy in expecting them to reach out to me when I so clearly rejected something so important to them. But I guess it was like wanting an invitation to that party that you never planned to attend. You wanted to at least be invited! And remember, I had not aired grievances to anyone so there was no bad blood. As I stopped attending church every LDS person I knew, family and friends were catapulted into outer darkness (or I was…depends on how you look at it). Another time, a former friend called up and to ask if her husband could take my son on the ward’s father/son campout. Who automatically assumed that I wouldn’t? At my daughter’s baptism a year later my own LDS sister avoided any sort of interaction with me at all. Instead, she cowered with my former mother-in-law in the corner of the foyer. These are not people who had any sort of relationship with each other before my apostasy or divorce, but those two things certainly do make interesting bedfellows. Even the 2 or 3 LDS friends I’ve reunited with who do seem to love and accept me now acknowledge that in doing so they go against the grain. They are the exception rather than the rule. And they’re the only ones I’d want a relationship with anyway. What it all comes down to is the realization that LDS friend and family relationships are mostly conditional. And that’s a trait that seems to be a product of the belief system. So, even if one day I met their conditions…If I were struck straight…If homophobic doctrine were purged from the church…If they began telling the truth about church history and doctrine… I still wouldn’t go back.